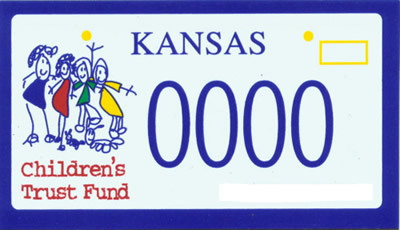 You can support the Children’s Trust Fund with your license plate purchase and assist in the prevention of child abuse in Kansas. These official Children’s Trust Fund plates feature a child’s colorful artwork of a family, and the cost is $50 per license year. Proceeds go to local communities to support prevention of child abuse and neglect. To order, call 785-368-7044. Donations should indicate the name on the license title and the current license tag number. Checks should be made payable to THE CHILDREN’S TRUST FUND, Landon State Office Bldg., 900 SW Jackson St., Rm 152, Topeka, KS 66612. 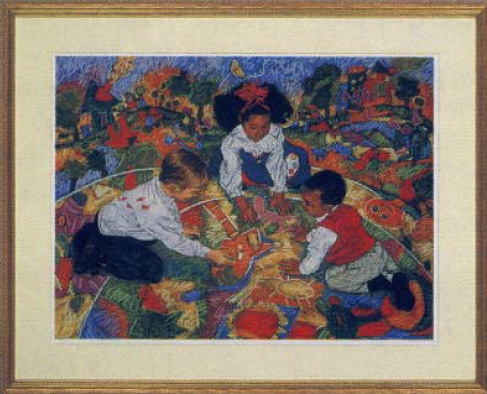 The Kansas Children’s Trust Fund engaged renowned children’s artist, Jim Gunter, to produce a limited edition print “As the Carousel Begins.” Proceeds go to community-based programs working toward the prevention of child abuse. To order, call 785-368-7044. Or download and print our PDF form and mail with your personal check or money order. Checks should be made payable to THE CHILDREN’S TRUST FUND, Landon State Office Bldg., 900 SW Jackson St., Rm 152, Topeka, KS 66612.